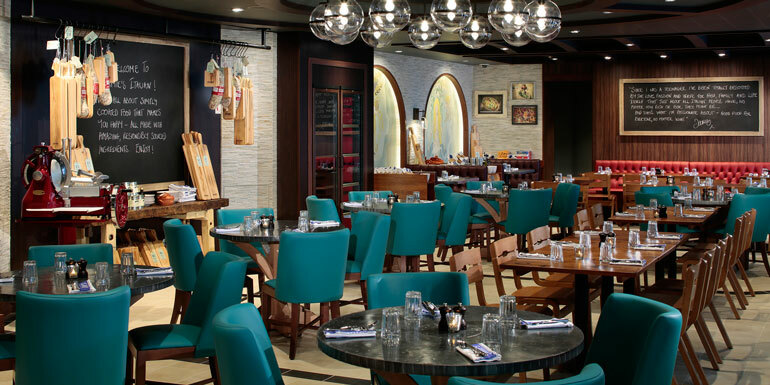 The Best Royal Caribbean Ships For 2019: Cabins, Dining, Service & More! Thinking about a Royal Caribbean cruise in 2019, but not sure which ship to sail on? Using thousands of review scores submitted in 2018 by Cruiseline.com members, we’ve ranked the top ships across seven categories, from dining and cabins to onboard activities and entertainment. 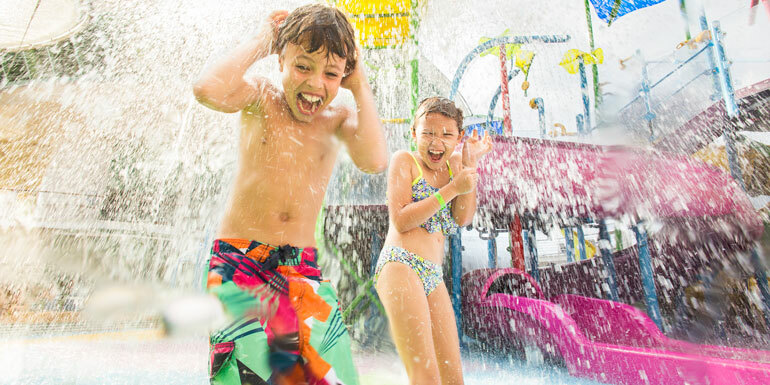 So whether you’re a foodie looking for some Broadway-caliber entertainment or a family of adrenaline junkies who need to stay moving at all times, there’s a perfect Royal Caribbean ship for you. What We Expected: The design of cruise ship cabins have come a long way in the last 30 years, so it’s not surprising that this list is almost in chronological order (with the notable exception of Ovation). 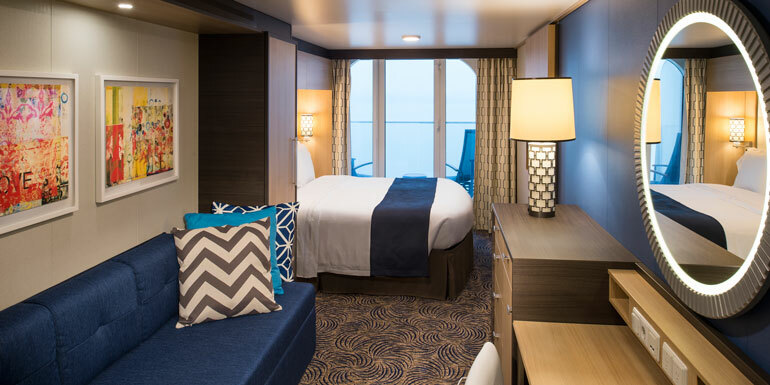 The new cabins on Anthem, Symphony, and Harmony were clearly a hit, while the smaller, older staterooms on Majesty and Empress struggled to keep pace. What Surprised Us: Ovation of the Seas lagged behind its newer counterparts, and Freedom of the Seas made the first of many small improvements as it jumped from 9th to 5th. What We Expected: Liberty and Allure repeated their 1st and 2nd-place finishes from last year, while Royal’s newest ship Symphony of the Seas started off strong in 6th place, no easy feat for a new crew still settling into a rhythm. What Surprised Us: Quantum finishing dead last was a bit unexpected, but the ship is sailing in a brand-new market (Asia) and we were only able to collect a handful of reviews. Freedom of the Seas moved up from 16th to 3rd, Independence of the Seas improved on their last-place showing from 2018, and even Anthem showed some improvement with a 0.10 point increase. What We Expected: Liberty and Grandeur maintained their excellent service scores from last year to stay on top, while the lauded Symphony settled in nicely in 5th place. What Surprised Us: Did Vision hire a completely new crew? Their score shot up from a full tenth of a point, bringing them from 19th to 3rd while Anthem moved up from 22nd to 16th, showing more signs of improvement after a lackluster 2018. In another strange repeat from last year, sister-ships Liberty and Independence finished on opposite sides of the spectrum (1st and 23rd), showing what a difference a good staff can make. Another thing we couldn’t help but notice was how much higher the scores are across the entire category, with even the last-place finisher Quantum scoring a respectable 4.47, a higher score than the first place finisher in other categories. Exceptional service scores are something we’ve been talking about for years now, and this just confirms what we’ve already known: the cruise industry knows how to train its staff. What We Expected: The usual suspects (Allure, Symphony, Harmony, Oasis, and Liberty) dominated the category. 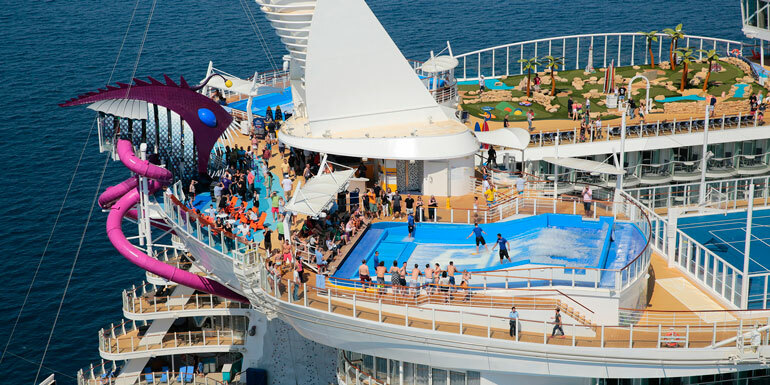 Royal Caribbean is known as the pioneer of onboard activities for a reason, and they clearly hit their stride with the Oasis-class ships. What Surprised Us: New ships like Ovation and Quantum are still struggling despite having the newest features available, and even Anthem continued to lag a bit behind its new counterparts. Mariner of the Seas had a noteworthy performance for a 16-year-old ship, finishing 6th. What We Expected: Newer cruise ships are built with more entertainment venues and larger theaters, so it made perfect sense that Allure, Symphony, and Harmony secured a 1-2-3 finish. What Surprised Us: Empress of the Seas, one of the oldest ships in the fleet, managed to outperform its age and finish 10th. What We Expected: Harmony, Oasis, Allure, Symphony, and Liberty once again proved themselves top dogs in the Royal fleet. 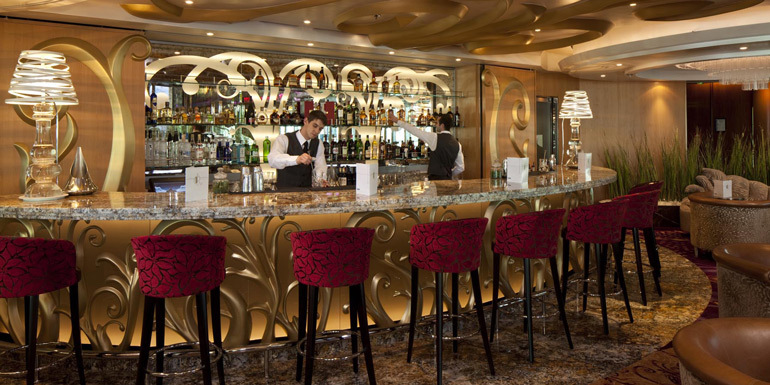 What Surprised Us: Freedom of the Seas showed yet more improvements as it moved up from 6th place last year to 2nd. Mariner of the Seas also moved up in the rankings from 12th to 6th, as did Jewel of the Seas with a huge jump forward from dead last in 2018 to 9th. *Note: We did not collect enough reviews from families on Quantum of the Seas to include it on this list. What We Expected: Royal Oasis-class ships repeated their dominance from last year. What Surprised Us: Ship Quality measures everything from cleanliness and comfort to design and layout, which means newer ships generally have the edge. This held true for Royal with Harmony and Symphony on top and Majesty and Empress on the bottom, but new Anthem-class ships like Ovation and Quantum still struggled. 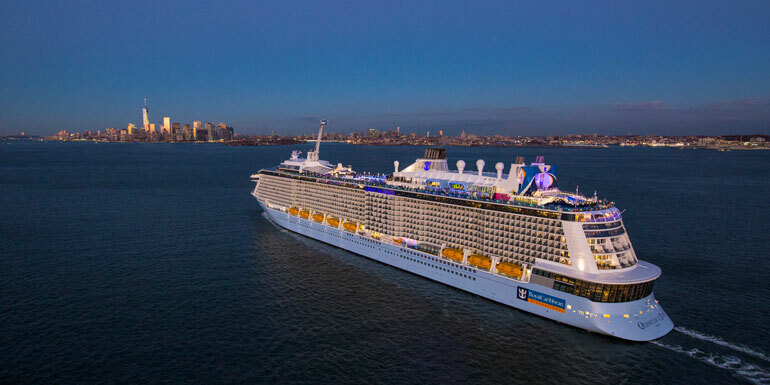 - Symphony of the seas is off to a great start in just about every category, which makes sense considering it won Best Overall Ship in our 2019 Members’ Choice Awards. - Oasis-class ships (Symphony, Harmony, Oasis, and Allure) are phenomenal at pretty much everything, and they're undoubtedly among the top ships in the entire industry. - Quantum-class ships (Anthem, Quantum, and Ovation), on the other hand, are struggling despite being newer than Oasis and Allure. All three have a lot of potential with cutting-edge amenities and great designs, but they still have work to do if they want to compete with the best ships in the Royal Fleet. 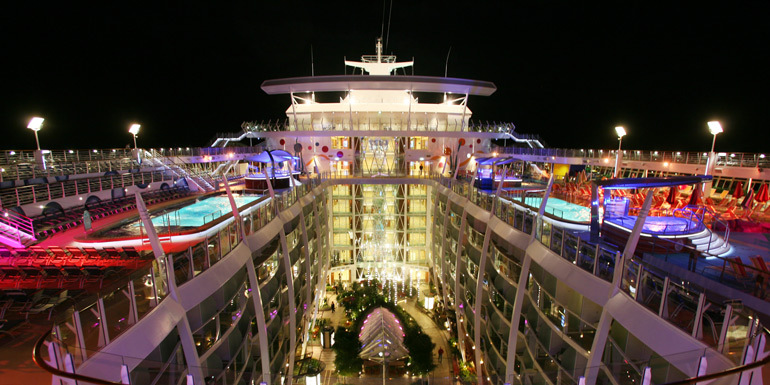 - Liberty of the Seas is an extremely well-run and meticulously maintained ship. It may not have all the new tech of Oasis-class ships, but its crew is top-notch, and it should be a no-brainer for cruisers living in and around Texas. - Freedom of the Seas showed notable improvements across the board, and managed to compete with (and often beat out) Oasis-class ships in several categories as it finished in 3rd, 5th in Cabins, and 2nd in Children’s Programs. When you consider it comes at a significantly lower price point than newer Oasis ships, it becomes an extremely appealing option. 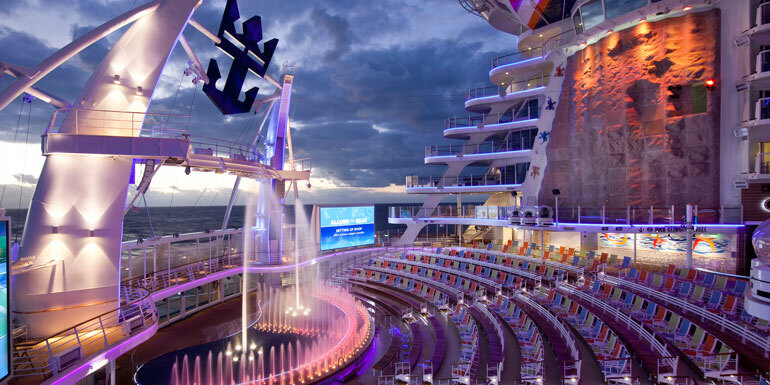 What's your favorite Royal Caribbean ship?